※ Handle configuration in TypeⅢ is for diameters of φ10.01 and greater. 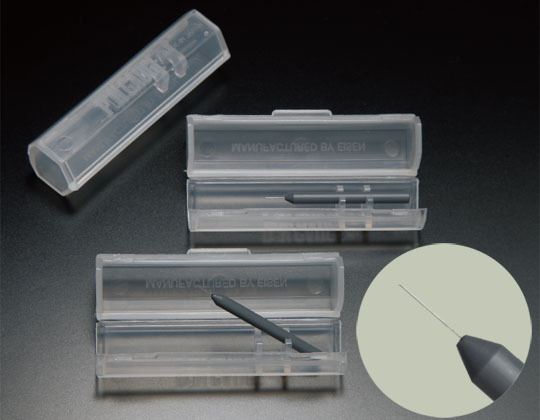 The hexagonal clear case (left photo) protects gauges while offering easing gauge removal and storage. 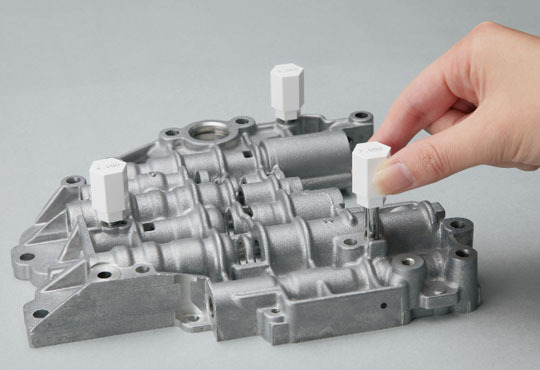 The storage case used for both EP and ECP provides compact storage and easy management of pin gauges. The handles significantly insulate against heat and reduce the time required for repeated measurements. 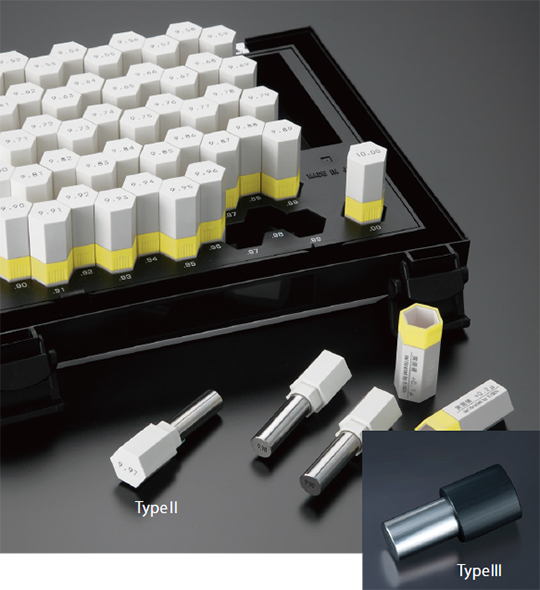 ※ Individual gauges with diameters of φ0.2~φ10 can all be used as master pin gauges(class 0). ※Individual gauges with diameters of φ10.01 or larger are standard pin gauges (class 1).